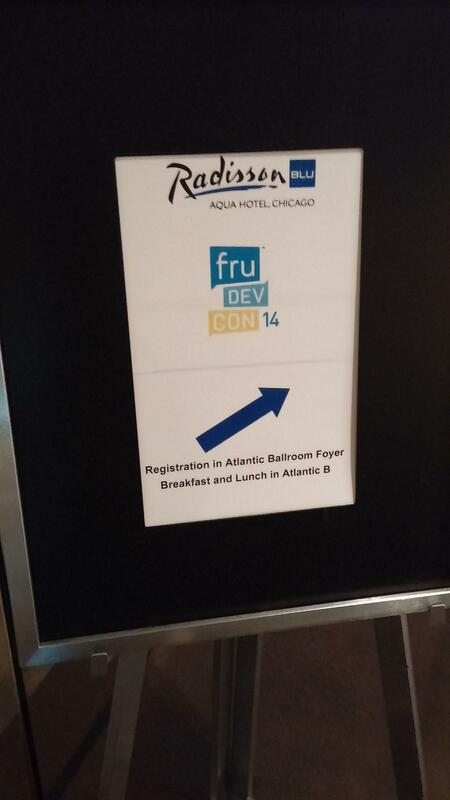 FruDevCon ’14 is in full swing the next few days, and I’ll be there for at least some of it! I’m going to be taking lots of pictures, and keeping pace with everything that goes on during the General Sessions in the mornings. Note: You’ll need to refresh to see updates as they’re posted. Unfortunately I will not be able to live blog today’s session, I’ve been called away for other work related activities. I’ll do what I can to get a summary from a colleague and post it here later. From my understanding today’s keynote is to be given by a ServiceNow person, focusing on what we can expect in Fuji. 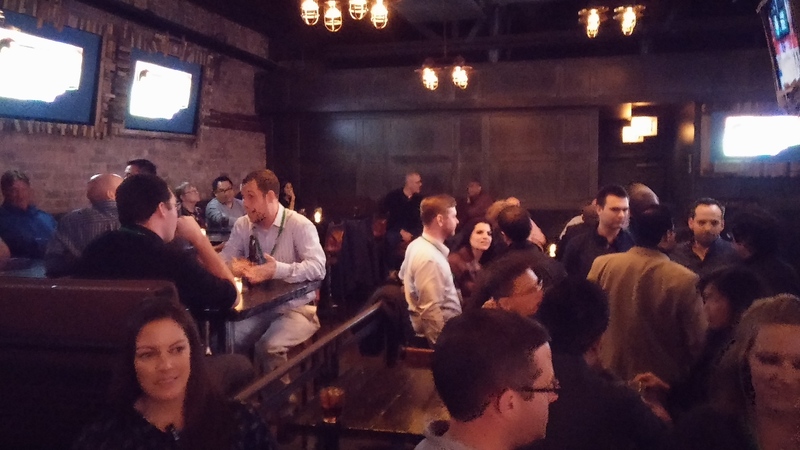 The Networking Reception at Rockit bar came to a close about an hour ago. 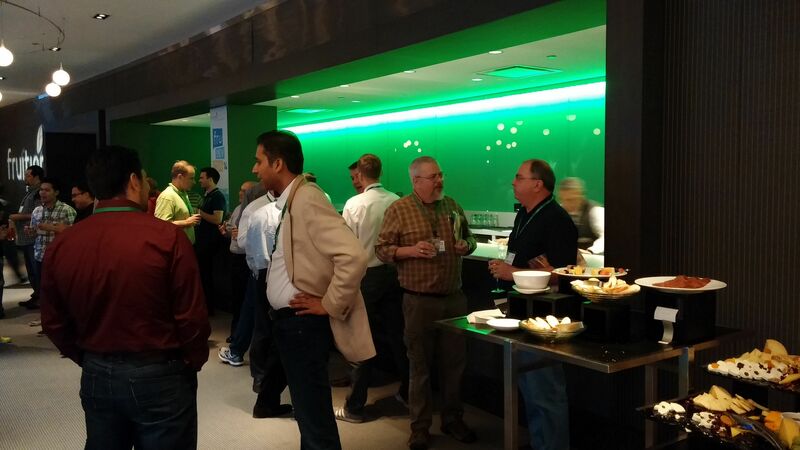 Great snack food and plenty of good drinks and conversation. 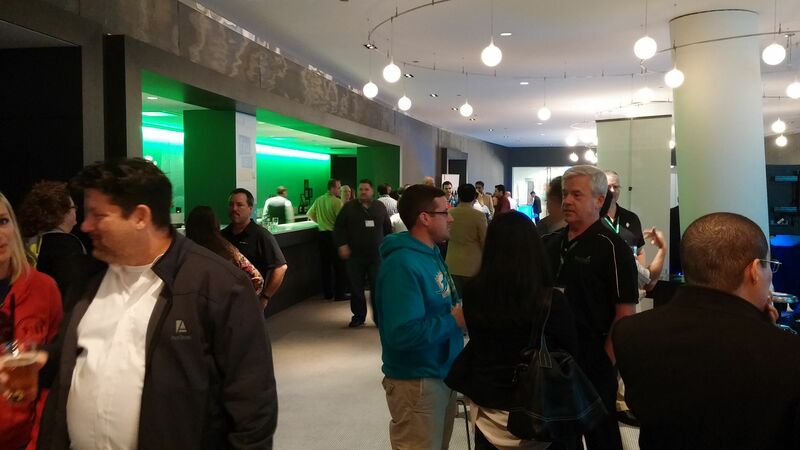 Breakout sessions are over for the day. Reception at Rockitt grill starts soon. Highlight of the day in my opinion was the talk by Chris Brown from Orbitz. Blew everything else out of the water. 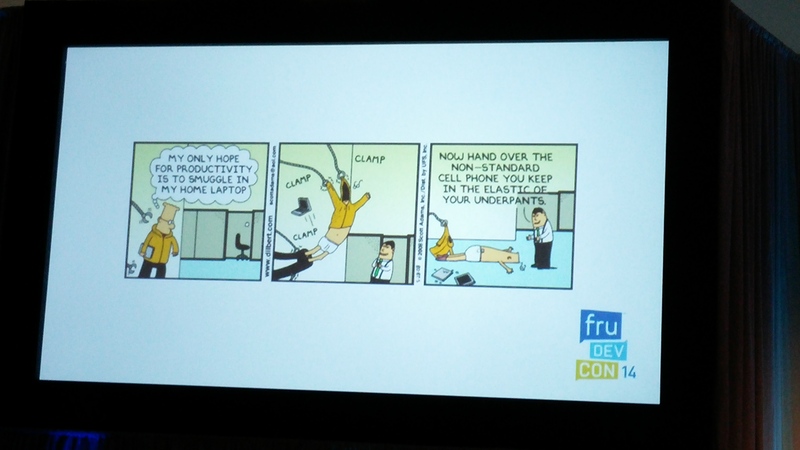 Runner up was the DevOps talk by Jane Groll. I can’t speak for the other breakout sessions, but mine went really well. Lively discussion and good attendance. Since I was the one teaching… I can’t comment unbiasedly on how well I did. The IT Executive track seems to have gone really well, but I was only in that room for about 20 minutes. That’s the end of the general sessions for the day. Now everything is breakout sessions. I might be able to liveblog those later, or perhaps share some recordings/presentations if I’m allowed. For now though, I’m taking a break. I need to prepare for the stuff I’m teaching later today. Schedule has been delayed by a few minutes, panel finally disbanded and will be picked up later. 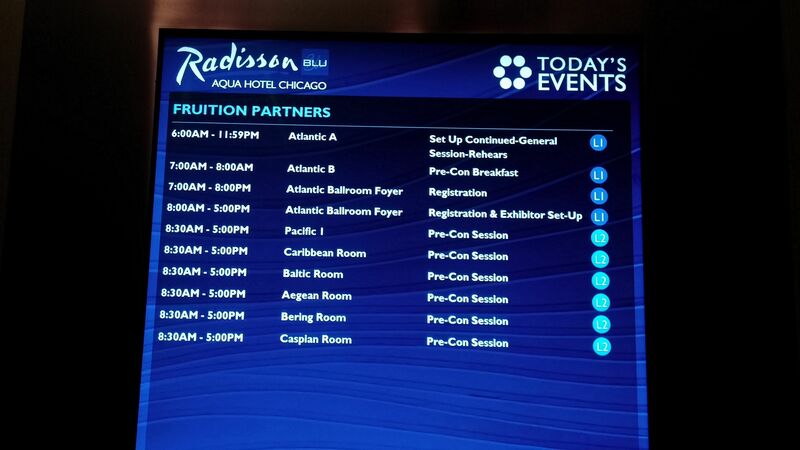 Panel is clearly not going to pause… people are leaving in droves to go to the sessions they signed up for. I’m about to be one of them. Panel is continuing… going a bit overtime. Classes start in just over 5 minutes, I imagine most people will be showing up to those late. Question #1: Is this for real, or is just a lot of hype? Matt: No, it’s not just hype, it really is going to happen. ServiceNow has seen it being adopted. Brad: Not only is it for real, the consumer expects it and is demanding it. Marc: No it’s not hype, but it’s not necessarily a new thing, because whenever we try to pull people off legacy hardware, they are very difficult to sunset, because other business departments are often using legacy tools without the IT people realizing it. A panel is up now. Matt Schvimmer, Marc Taluto, and Brad Paubel. Charlie Orahu – author of the book “Quantum Age of IT” – is moderating the talk. Facilitating and creating “Awesome” tools to drive compliance. The product designers, development, and User Experience engineers need to work together and be ambitious. ServiceNow Use Case: Limit the text in approval emails, make the buttons more prominent. As you move to Agile, make sure you’re not just creating tons of mini waterfalls within the 2 week Sprints. Usability and Field Testing throughout the development cycle are critical and hugely beneficial. An early adopter / field testing audience is a great way to polish new tools. A/B and MVT Testing is an excellent way to improve the user experience once you’re live in Production. — This is basically providing different User Interfaces, etc. randomly to different people, and seeing which one is better received. Orbitz example of MVT: Just adding the words “Change Search” beneath an edit icon gave twice as many flight searches, and a 3% conversion increase to ticket sales. Calls to Action Matter – (as in “Book” or “Order”) – The wording of the action button, etc. matters a great deal. Orbitz found a 20% increase with people going further through the process by making the action word be noncommittal (such as “see details” instead of “book”). People are afraid of commitment and mistakes. Direct Feedback Loops are important. Even a simple email will do. Orbitz feedback emails go directly to Chris Brown, and he doesn’t even filter them into another folder, he reads every single one as if it was an email from a coworker. – Wow. Read and pay attention to reviews and comments in public app marketplaces. Funny video wrapping up the talk. IT no longer works by forcing people to do certain things. Can no longer successfully mandate what devices people use or what browser they use. Regardless how much effort goes into a tool deployment, Orbitz ends up kicking out any tool that does not allow for openness and choice. A tool needs to be good in order to drive usage and compliance (tools need to be more awesome). Chris is up, title of talk is: Consumerization of IT. Next Speaker is Chris Brown – Chief Product Officer of Orbitz. Automation – Supports continuous integration and continuous delivery, and makes things more stable. IT Service Management – Repeatable service management processes lead the way to stable continuous delivery and increased flow. DevOps does not stop at deployment. Design, Deploy, Operate, Repeat. Lean Enterprise – Create more value for customers with fewer resources and less waste. Most Important Ingredient = People – You can’t directly change culture, but you can change the way people think and behave. 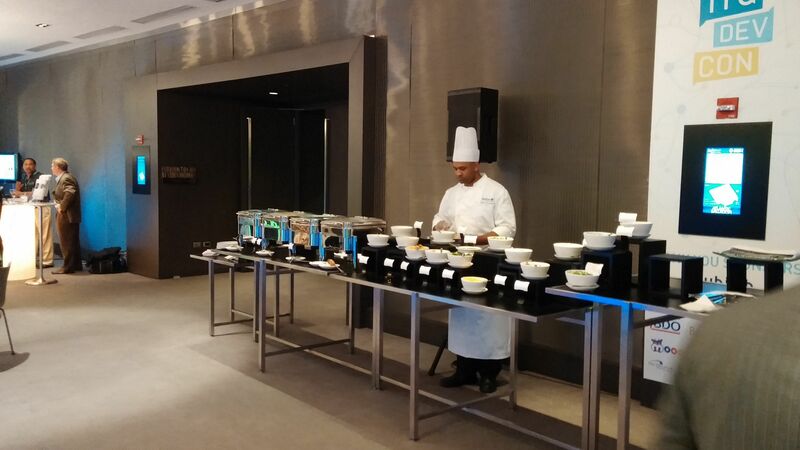 Start Simple – Start with a simple lunch between IT and Software, and go from there. IT Suffers from Cultural Debt: deference of culture considerations in favor of growth and innovation. IT’s culture grew up around frameworks (ITIL, Cobit, agile, SixSigma). DevOps is “not a framework”. It grabs the best parts of all the frameworks and marries them together. Dev wants to change, but Ops wants stability, and the business wants both. 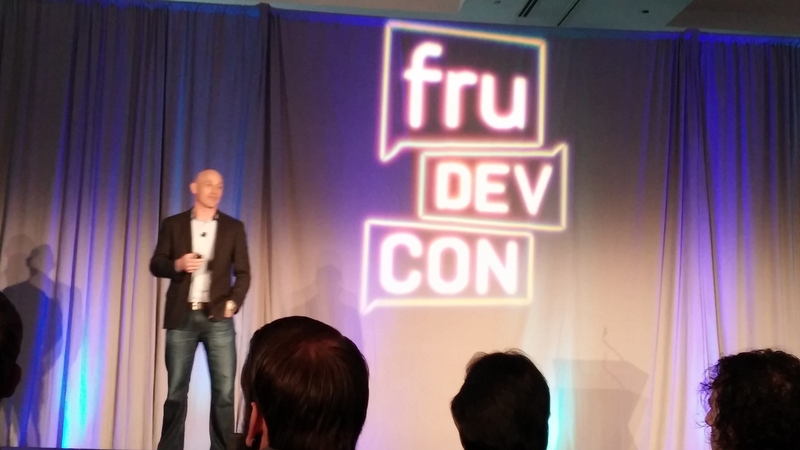 DevOps is intended to be a cultural movement and prescription. DevOps is a set of integrated practices. 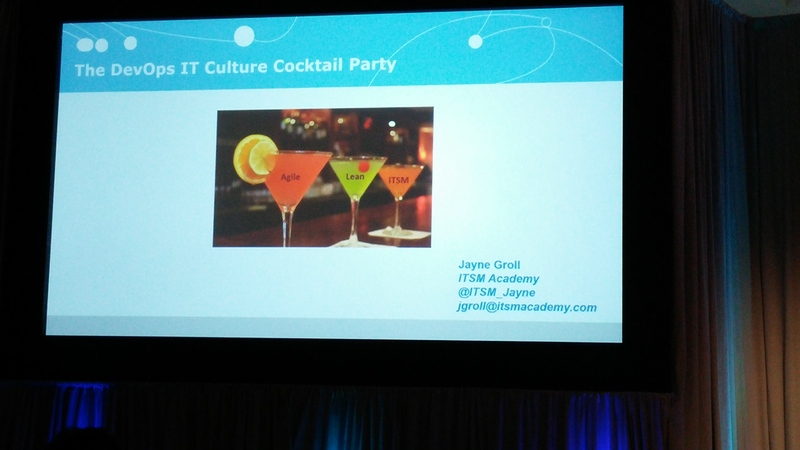 Paolo is done, and Stonelake is introducing the Founder of ITSM Academy, Jane Groll. 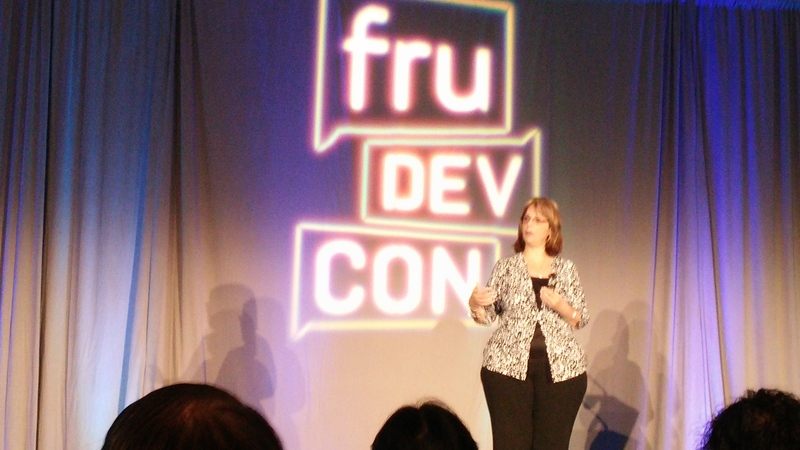 The focus of her talk will be “Dev Ops”, touching on creating productive change very quickly. 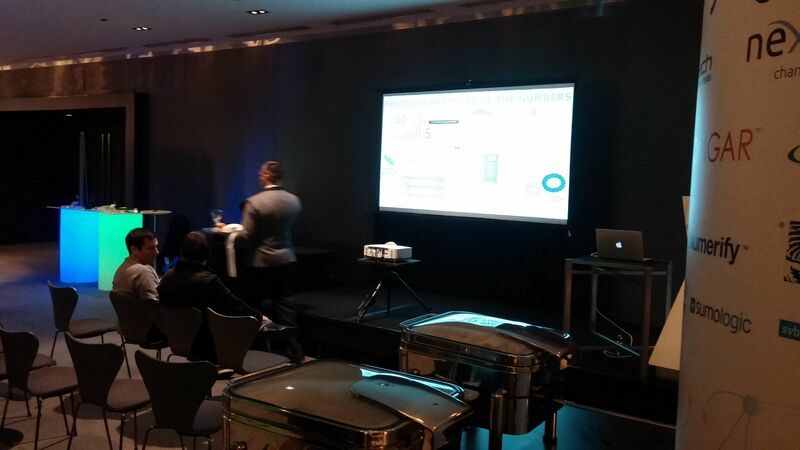 Paolo is up, talking about outsourcing Service Management and using ServiceNow for more than just IT. 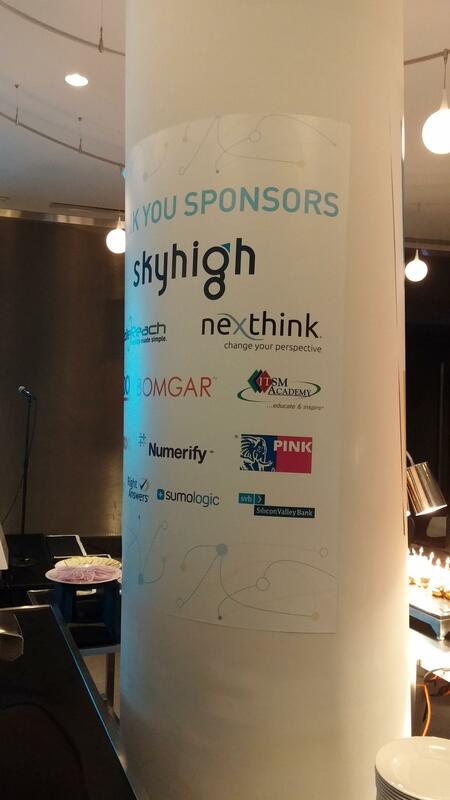 ITSM and the Service Desk are the foundation that made this possible. Business Drivers are catalysts for change (such as audit and compliance). Success in the IT space or HR provides a great opportunity to mimic/copy the work already done for other departments, as well as show them how well it works and get buy in from new business areas. 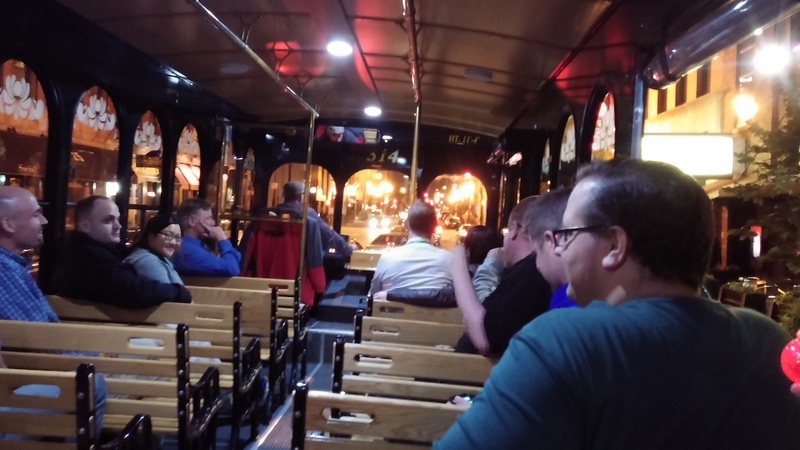 Even as you make sure that the IT foundation is there (the CMDB needs to be well structured and populated), you focus on selling the more business focused aspects to the business (as they don’t understand or care about the nuts and bolts). Advocates and evangelists make a big difference with keeping the wider business interested about developing a core technical platform for the business to live on. Ahah! He was buying time / introducing the next speaker: Paolo Ozare (sp?) from Harris Associates. 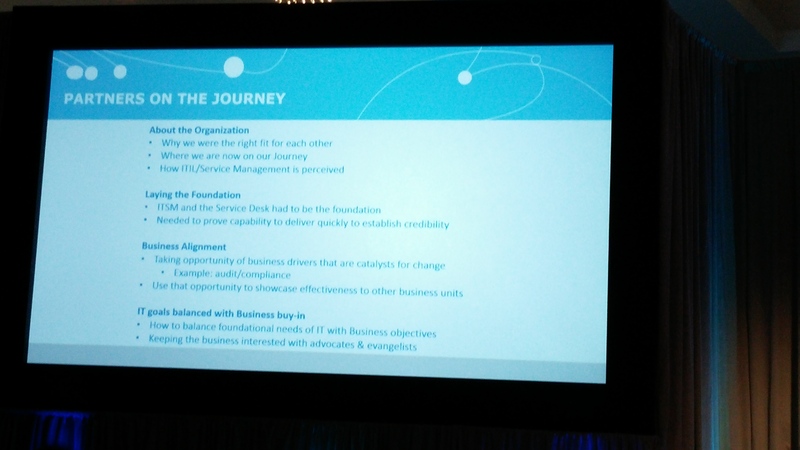 Title of talk: Partners on the Journey. Marc Taluto is up. Not clear if he’s giving a talk, or just buying time for the next talk? I think he’s giving the next lengthy speech. IT is asked to solve other people’s problems — something the other areas of a company don’t usually do. #Today – Cloud (Open, Agile, Abstract, Flexible). 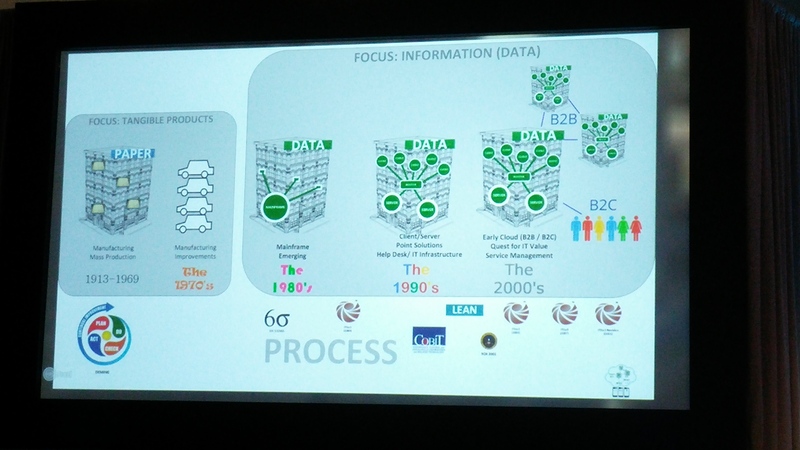 Into the Future – Uniting process and Technology. Rise of Agile and a Deming type cycle for software. 2000s – Rise of CG, and revolution of 3D video games. Companies founded in the past 13 years… about 10% of the hands go up. The missing percentage seems to be the rest of the Fruition folks. Jokes are largely falling flat… they’re trying though! 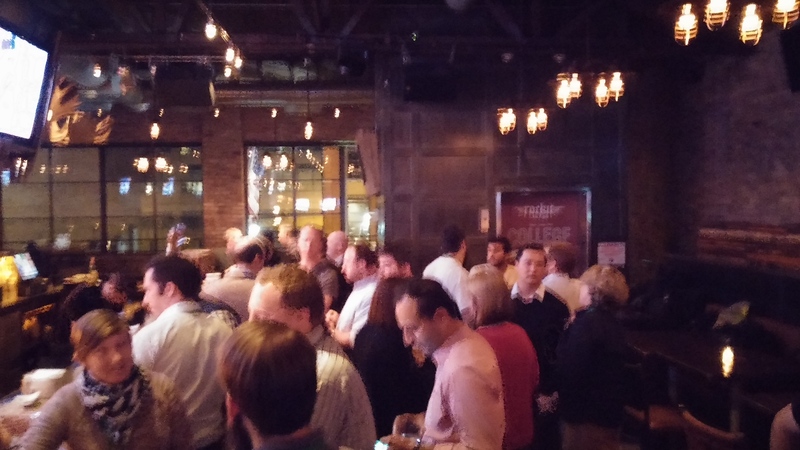 In the IT Space – Regulation starts, ServiceNow founded, Fruition founded. IT Spending in the US in early 2000s was around 350 billion. Rise of web based standards and open source software… starting to open the door for a future cloud. Late 1990s – Birth of Software as a Service. 1990s – Video games took evolved, and Terminator 2 plus Matrix. Oh and Office Space. Companies founded in 1990s… about 5 hand go up. Other companies from the 1990s…. Amazon, Google, Salesforce, and VMWare. Networks spread throughout the company in the 1990s, and ITIL v1 was found lacking, so COBIT was created, which still exists to this day. Late 1980s – Enter the mainframe, and ITIL (Information Technology Infrastructure Library) founded. Late 1980s – Personal PC introduced and Floppy disks. 1970s – Star Wars jokes… skip over it for the 1980s. Companies founded in the 1980s… about 10% of the hands go up. Motorola in 1985 implemented SixSigma, which evolved from the Deming cycle. Fast forward to the deming cycle at end of WW2, and Moore’s law in 1965. 1913 – When discussing what organizations were founded on or before 1913, the presenters asked the audience to raise their hands if they worked for a company established that long ago, and about 40% of the room’s hands went up… same year that the Model T assembly line began. Humorous (corny) video featuring Patrick stonelake. Complete with Star Wars references, and ridiculous cuts every two and a half seconds. Theme for the year is “Unite” — encouraging partners and companies to work together to deliver excellent solutions. Next two speakers, aka “Tour Guides”, will be helping to guide people on the Unite Journey. 2010 – First internal bootcamp to help train developers. 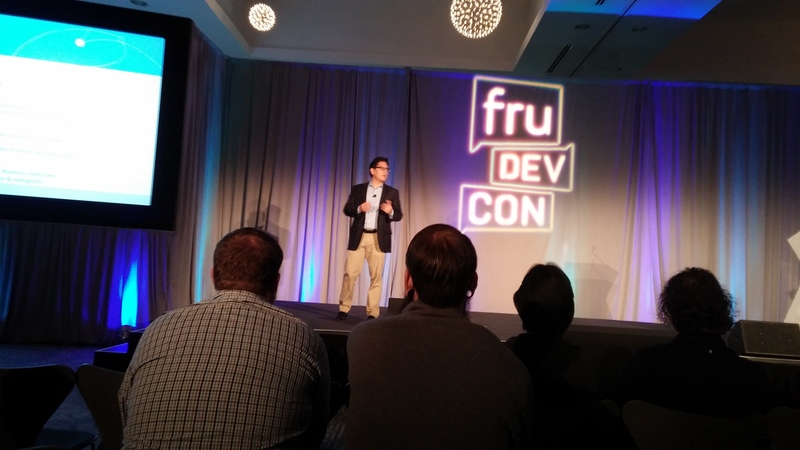 2013 – First FruDevCon to the public. Finally getting started! Room is about 90% full. 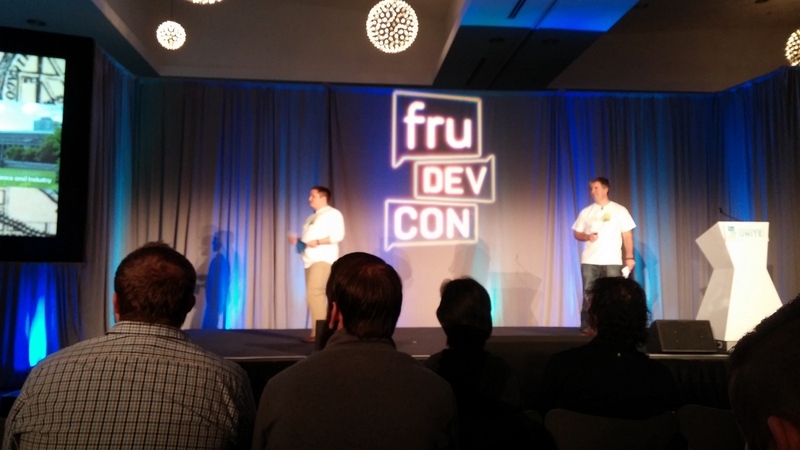 Up first is Fruition founders Patrick Stonelake and Mark Taluto. 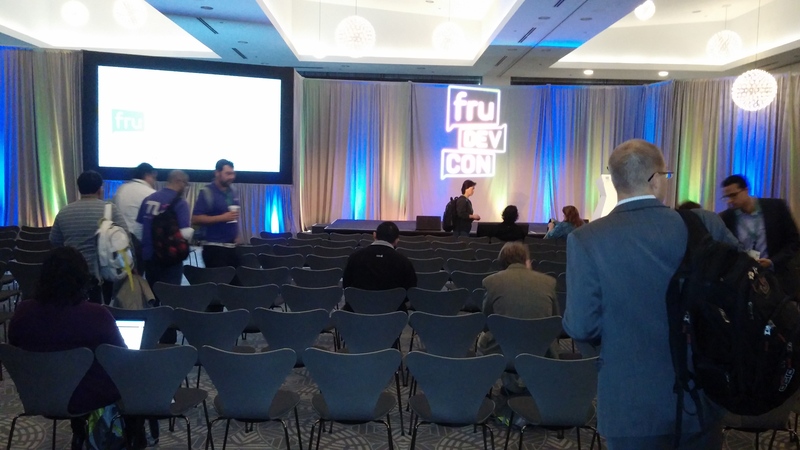 General session is starting in about 5 minutes, people are filing in. I’ll resume liveblogging at around o8:30 CST. 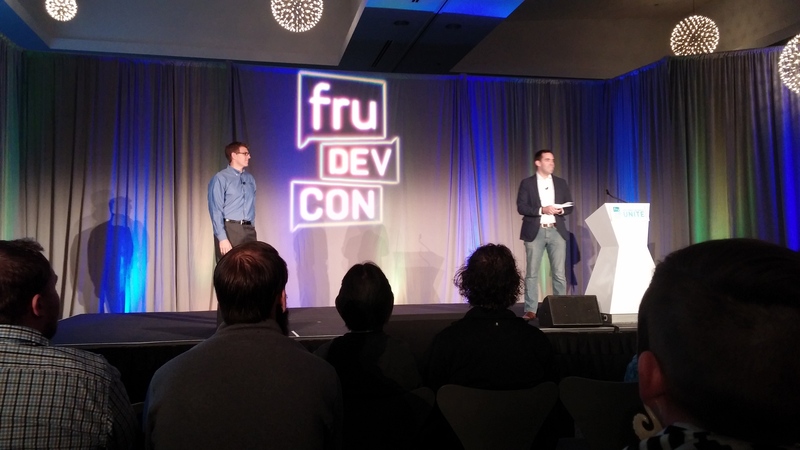 Chance to win a ticket to FruDevCon ’15. 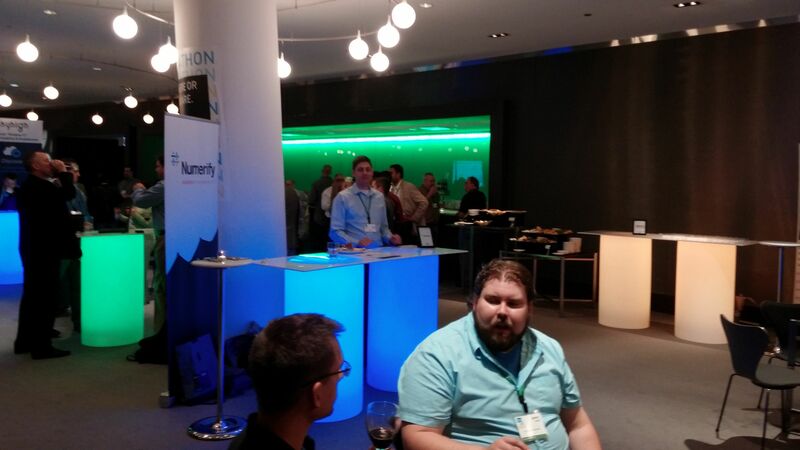 Twitter focused contest is being run for a chance to win a ticket to next year’s conference. 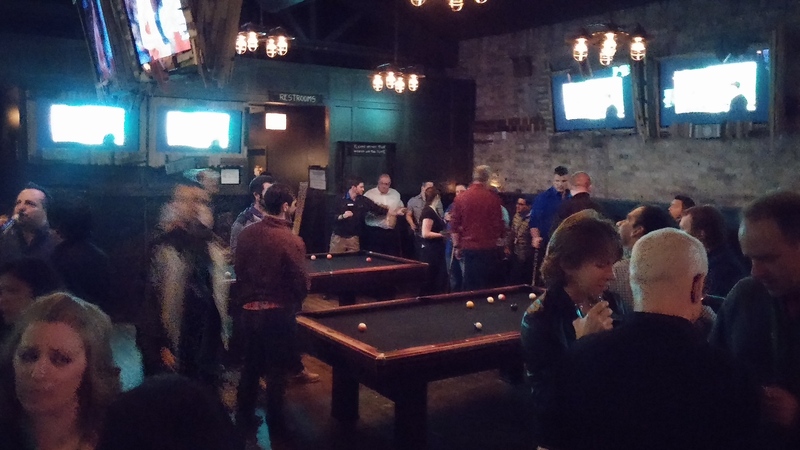 Taking a picture at a Chicago Landmark and tweeting it with #fruDevCon. 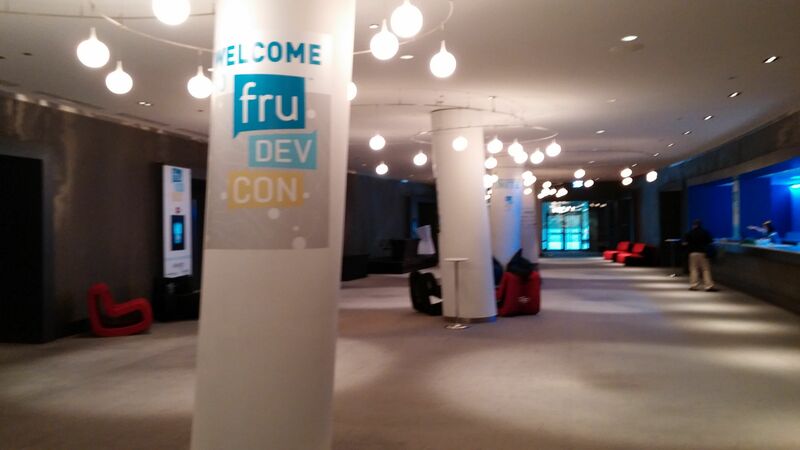 Taking a picture at special picture stations and tweeting it with #fruDevCon. 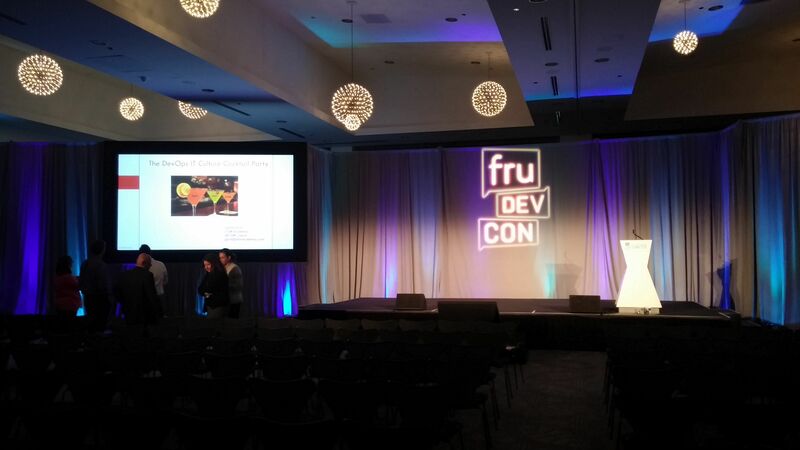 Creating a fruDevCon “meme” and tweeting it with #fruDevCon. 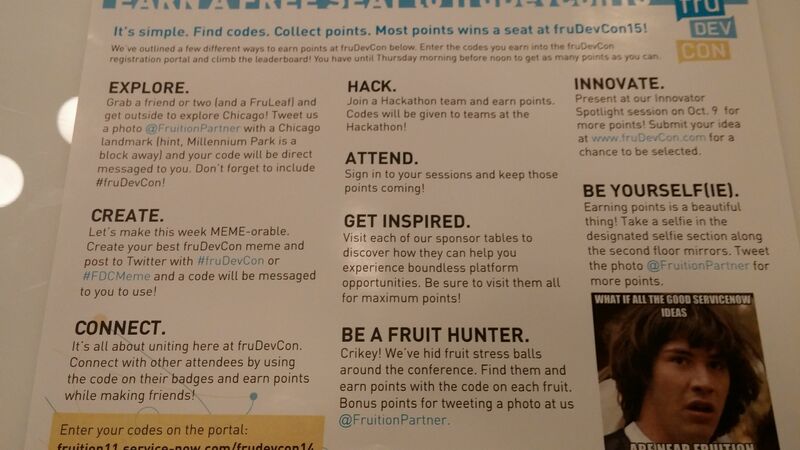 Entering codes found on nametags into the portal at https://fruition11.service-now.com/frudevcon14 . Entering codes found on hidden fruit stressballs into the portal. 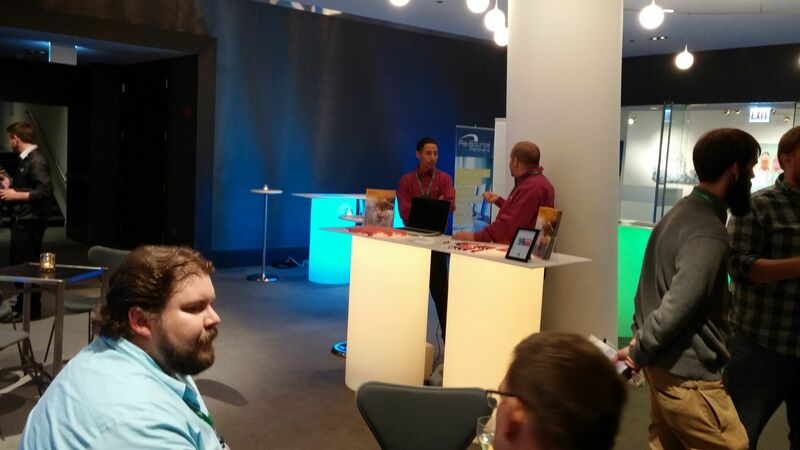 Obtaining codes from sponsor tables after listening to their pitch and entering them into the portal. Signing in at Breakout Sessions. Presenting at the Innovator Spotlight.